Back when I was first playing with Bill Desmond's Tone Poem, we were preparing for one of our first gigs, opening for Dorothy Carter, the famous hammer dulcimer player, at a coffee shop in Hyannis. Bill had recently composed a piece name Nova Scotia. But then, he came up with a little 2 minute tag to play at the end of the piece. But what to name it? Well, I wondered what is at the end of Novia Scotia, so I took out my Rand McNalley road atlas and found Wood Harbour, a small fishing village at the end of the island province Thus was named Bill's composition Woods Harbor. Fast forward a decade and I needed a name for my "music company" for the tune I recorded for Bill's Christmas compilation CD, Gross Santa's Yuletide Favorites. 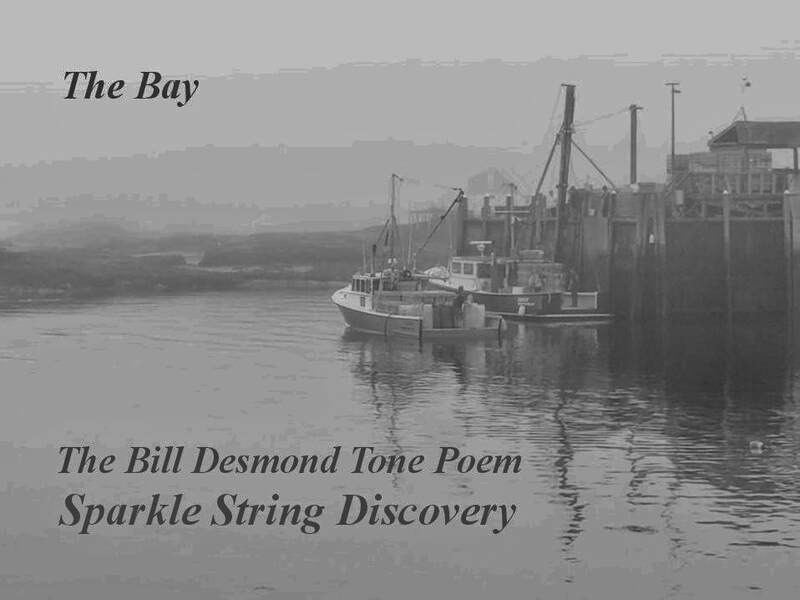 Knowing that part of my paternal heritage comes from Nova Scotia and wanting to reference the enduring influence of playing Bill's music, I came up with Wood Harbor Music, and named the collection of musicians the Wood Harbor Ensemble. 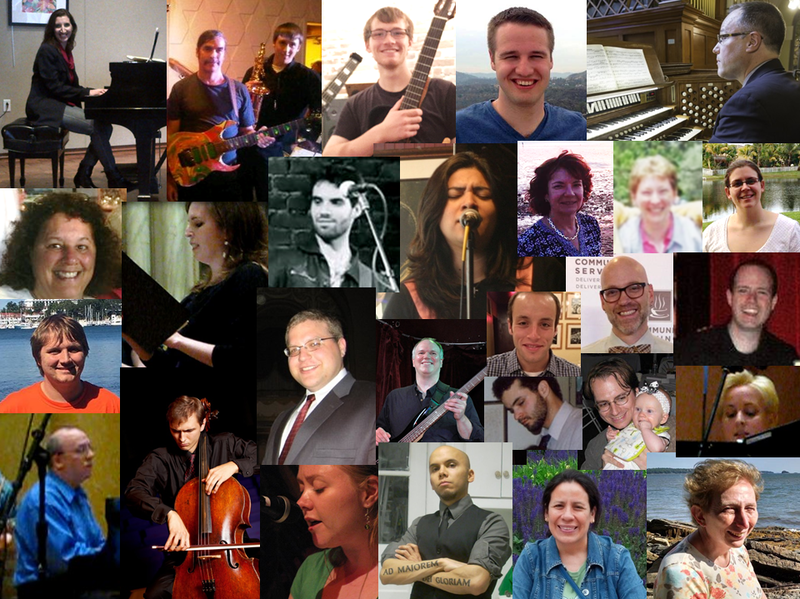 Welcome to Wood Harbor Music, the portal site for the music of Rachel J. Burckardt and friends. Rachel is a composer and instrumentalist based in Cambridge, Massachusetts. Her compositions span many styles and many settings, from sacred and liturgical music to instrumental compositions for small ensembles and some jazz tunes. Rachel serves as a volunteer liturgical musician and composer at St. Cecilia Parish in Boston, Massachusetts. "Rachel Burckardt has a unique compositional style, personal and always pushing the boundaries of a complex harmonic language. " Find a listing of over 50 settings of 31 psalms. You can listen to many of my psalm settings on my You Tube channel. Most are very usable as Responsorial Psalms or for other liturgical settings. Downloads of selected music now available! Downloads are available for some of my liturgical music is now available on this web site. * Recorded live at St. Cecilia Church, Boston. Recorded live by Evan Landry on May 9, 2014 at the New Dawn v2.0 Concert at St. Cecilia Church, Boston, MA. ©2014 Rachel J. Burckardt. All Rights Reserved. Sparkle String Discover to be re-released! The first recording of The Bill Desmond Tone Poem will be re-released on digital later this year! Prior to his days leading the Bentmen, Des lead an acoustic ensemble featuring his custom-made hammer dulcimer. The results were perhaps some of the most creative and aurally interesting of the New Age era. Recently restored from cassette to digital. This was my first studio recording playing guitar. Liturgical and sacred compositions by Rachel J. Burckardt. Order for $15 plus shipping from Wood Harbor Music, or download at CD Baby. $5 from the sales of each CD is donated to the Women's Lunch Place, which serves poor and homeless women in Boston. Videos of some of the tunes are available on my You Tube channel. Liturgical compositions of Rachel J. Burckardt, featuring the Choir of St. Cecilia Church, Boston and friends. Listen on Spotify and You Tube. Boston, Wood Harbor Ensemble, and friends. Order from Wood Harbor Music. Digital downloads and samples at CD Baby. Listen at Spotify and You Tube! Listen to a live version of the title song, How Long, on You Tube!